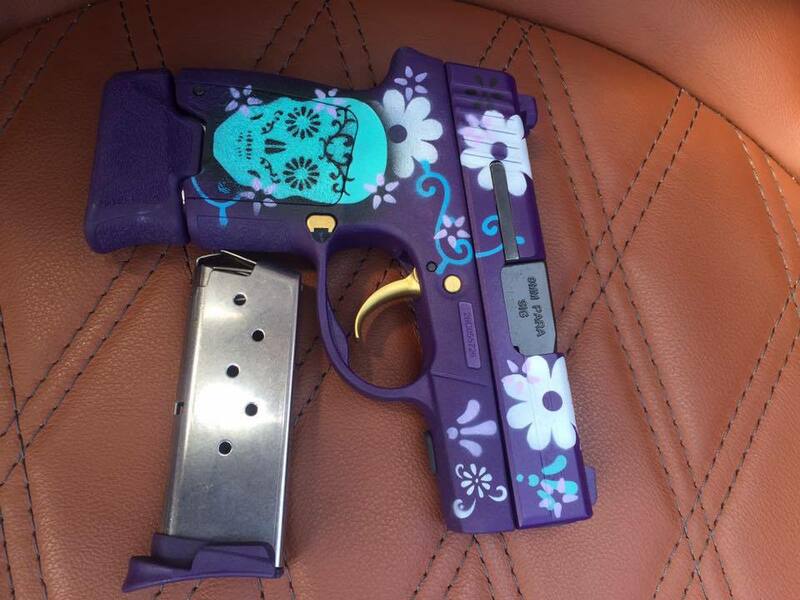 Just as a woman might seek to enhance her natural beauty by putting on a little makeup and some jewelry, gun owners also like to accessorize their firearms. Sometimes the purpose is to dress the gun up a bit, and sometimes the additions enhance its function. I recently polled a group of chapter leaders from The Well Armed Woman shooting organization about their Top 7 “must-have” firearm accessories. Make racking your slide easier with the Slide Spider. Coming in at number 7 is the Slide Spider. 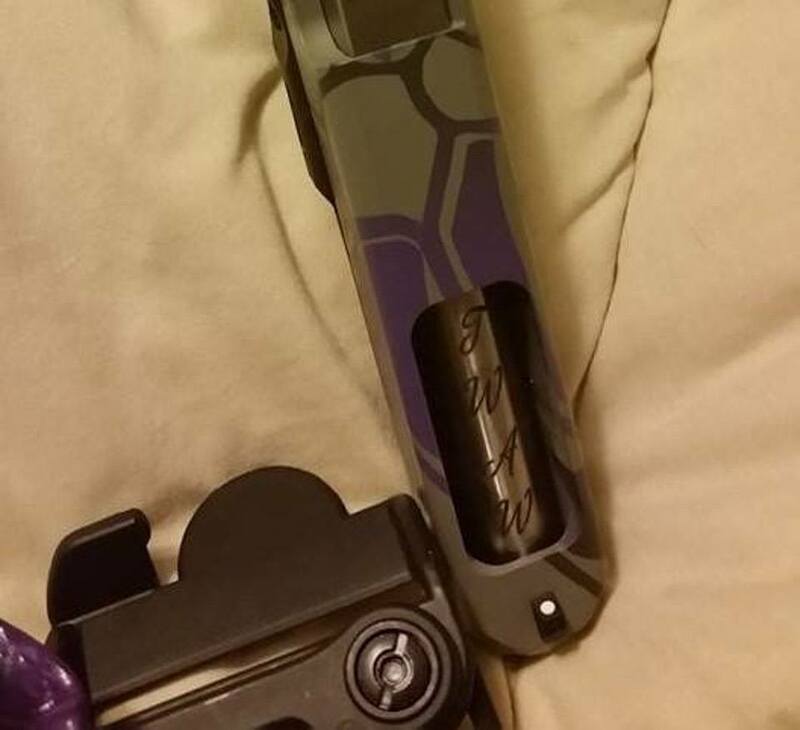 This is a piece of rubberized grip tape that adheres to the top of your gun at the back of the slide. With added grip texture, shooters can rack the slide much more easily—a big help if you’re affected by weakened hand or grip strength. Each Slide Spider is designed to match the specifications of a gun’s slide and location of the ejection port, lining up with the groove serrations. Another fun feature is that if the shooter doesn’t like the original spider-emblazoned version, there is an option to add a custom logo, like this one The Well Armed Woman has available for $19.99 on its website. Tactical flashlights come in a variety of sizes, lumens, and price points. The number 6 accessory option is a flashlight. You can mount a small tactical flashlight to your pistol on an accessory rail—and if your gun doesn’t have a dedicated rail, certain flashlight models can be attached to the trigger guard. It’s important to choose a flashlight that is small and lightweight while still providing ample illumination. The obvious reason to install a tactical light is to be able to identify a threat before pulling the trigger, so the on/off switch should be easy to reach while gripping the gun. There are a plethora of light options, so do your homework before deciding which one to buy. 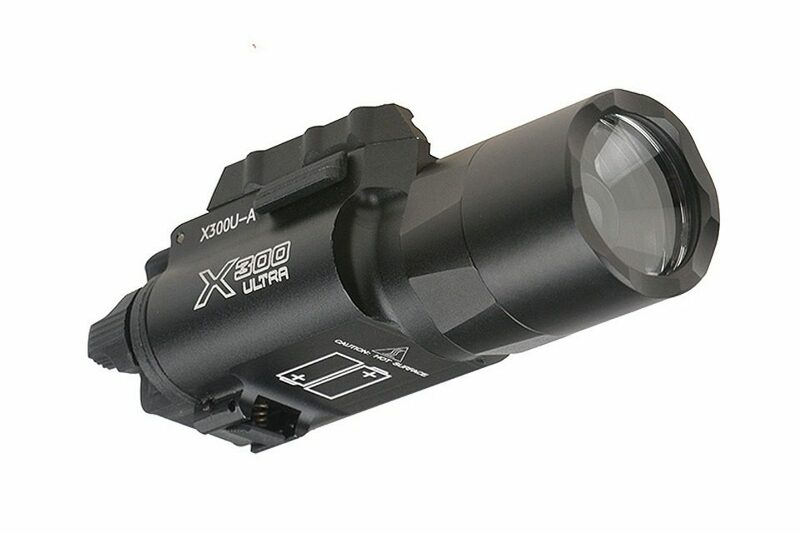 Tactical lights can be found at a wide range of prices, from around $50 up to $700 or more. Lasers and red dot sights make focusing on the target easier. Lasers and red-dot sights tied for number 5 in my poll. 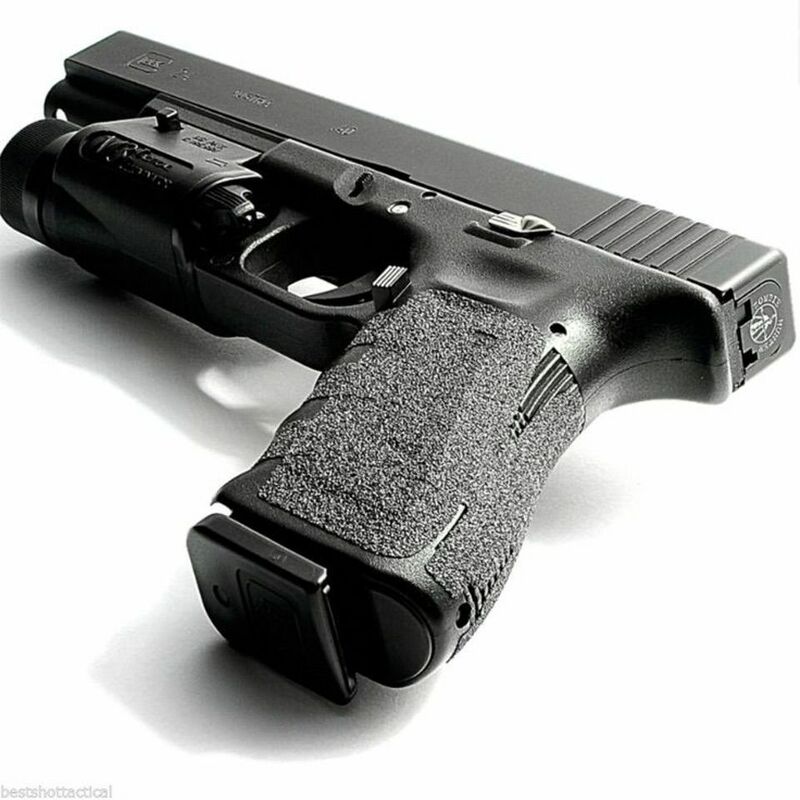 Several options are available, including laser grips that mount to the rear of a gun’s grip and project the laser below the slide, guide rod lasers that install directly into the firearm by replacing the factory guide rod with the laser version, and laser systems that mount to any gun with an accessory rail. Lasers have many benefits: They help you focus on your target rather than iron sights, they help you aim in low/no light, and they help you get accurate hits under stress. 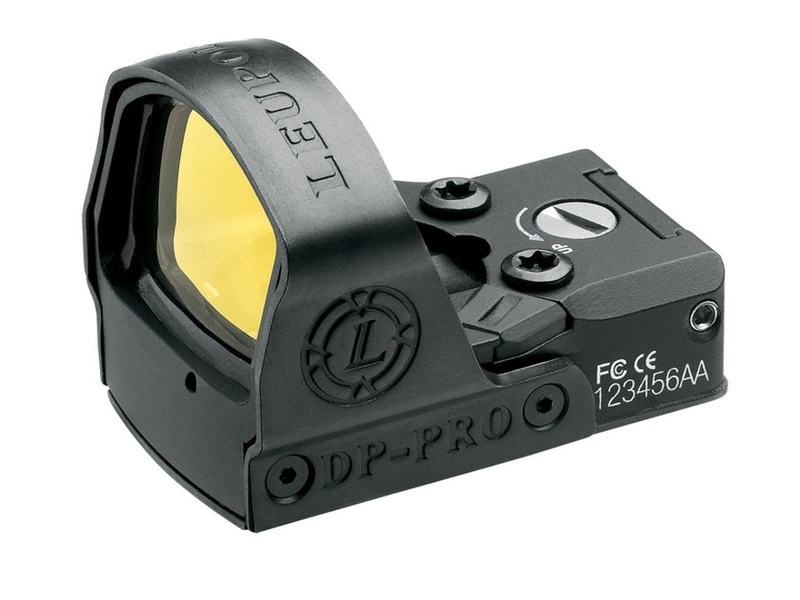 Red-dot sights, or reflex sights, help shooters acquire a target quickly without having to worry about sight alignment. Most sights can be co-witnessed with the iron sights in case the battery dies or something happens to the dot itself. For anyone who wears reading glasses, another benefit of a red-dot is that the dot is clear no matter where you’re focusing. Depending on the model/capabilities, lasers and red-dot sights can run anywhere from $30 and up. For better grip, Talon Grips are the way to go. The number 4 choice is a Talon Grip. Anyone who has been shooting in cold or hot weather understands how slick the grip of a firearm can get. Talon Grips are available in either rubber or granulated texture, and are designed to stick to polymer so they’ll stay on well and last longer. If you’ve ever struggled with grip issues, this product is an inexpensive and effective solution. Most Talon Grips are around the $17.99 price mark. Fiber optic sights give better visibility. Many people prefer fiber-optic and tritium sights over factory sights; these options came in third in my poll. Often, factory sights are hard to see. Fiber-optics are generally available in red and green, and allow light to penetrate along the length of the sight, making the front sight more visible and easier to pick up quickly. 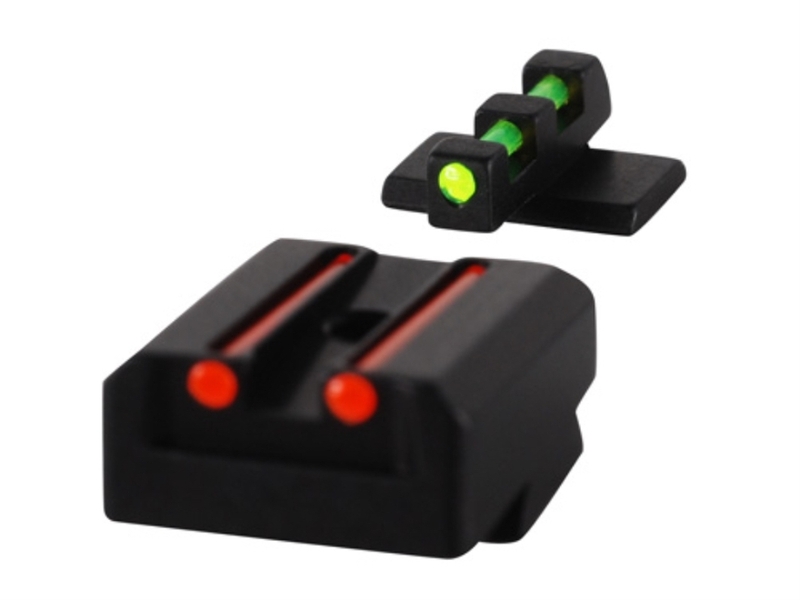 Tritium night sights look like standard white-dot sights in daylight but become glowing green dots in the dark. They don’t need batteries, and they also don’t need light to be charged. Tritium sights have a shelf life of approximately 12 years from the date of manufacture. A fiber-optic front sight by itself starts around $25, and you can find basic Tritium sights for around $100 and up. The second most popular accessory for a pistol is engraving, either on the barrel or the slide. Engraving a gun is kind of like giving it a tattoo—it’s a personal choice. 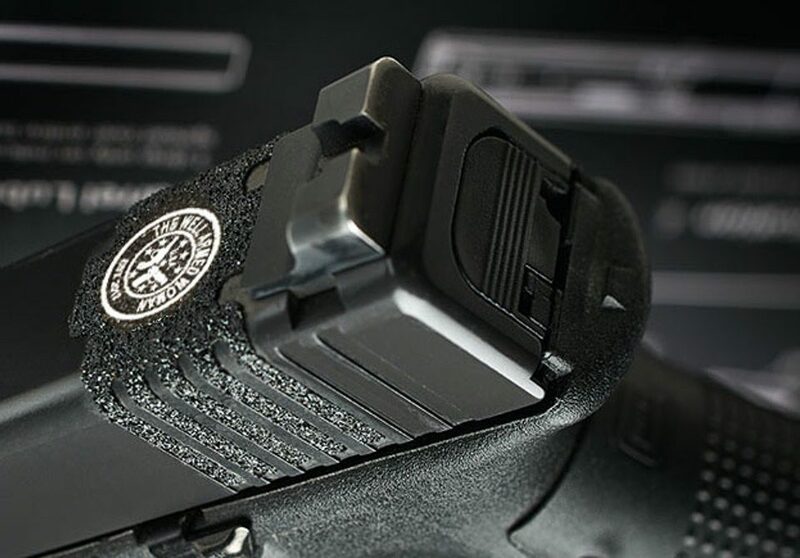 Whether the gun is being laser-engraved or engraved by hand, the artwork will be unique to the firearm and its owner. Some of the most popular engraving choices are names, decorations, logos and quotes. Finally, the number 1 chosen accessory is Cerakote. Cerakote is a special ceramic coating that is mixed with a polymer component to provide a long-lasting finish, protecting the surface of a firearm from corrosion and scratches. Many gun manufacturers offer Cerakote finishes, but individuals can also choose to have a certified applicator do the work instead. With a million color choices (well, maybe not quite that many), Cerakote can protect your pistol while looking beautiful. Maybe that combination of form and function is why women voted Cerakote the number 1 accessory.